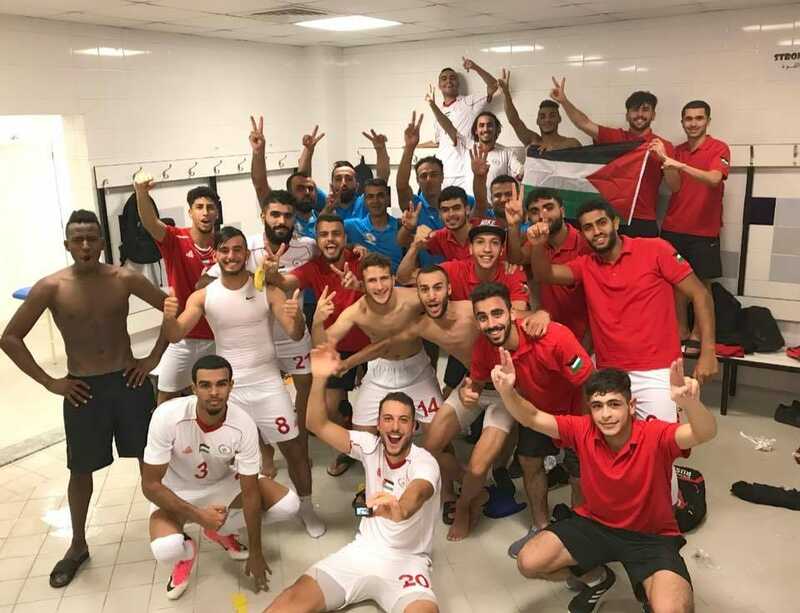 Palestine's Olympic team, beat Qatar in a friendly match for the second time this year as preparations for next year's AFC U23 Championship qualifiers continue to take shape. Sandouqa had made the decision to shed players born in 1995 and call in younger players into the squad. Players born on or after January 1st, 1997 will be eligible to compete in next year's qualifiers, the tournament proper, and in the Tokyo Olympics should they qualify. Palestine's win yesterday came courtesy of Hilal Al-Quds's Mohammed Obeid who scored in the 10th minute of the match. Domestically some familiar faces were in the squad- Ahmed Qatmish, Mohammed Khalil, Mahmoud Yousef, Hani Abdullah, and Musa Farawi had all played at the Asian Games in Indonesia. Other WBPL players who joined the ranks were Mohammed Al-Jaabari, Bahaa Wridat, Shaher Dahoud, Islam Saghur, Khairy Abdeen, and Ahmed Khalifa. They were joined by several Palestinians Abroad. Mohammed Al-Kayed (Skenderbeu/ALB), Omar El-Cherif (Wadi Degla/EGY), Mohamed Darwish (SV Arminia Hannover/GER) and Saado Abdel Salam (Platinias/GRE) who had all played for the Olympic team before. Several new Palestinians Abroad joined the ranks with many of them plying their trade in German third and fourth divisions they include Mohammed El-Ahmar, Ali Abu Alfa, Yousef Sakran, and Daoud Iraqi. Hailing from the Swedish leagues were Anis Faour (Torns IF) and Mohamed Fadil-Yousef. The make up of the Olympic squad- 50% of players play in foreign leagues- shows what Palestine's future could be like. Its a model closely related to those nations that routinely punch above their weight despite a weak league- such as Bosnia and Croatia.